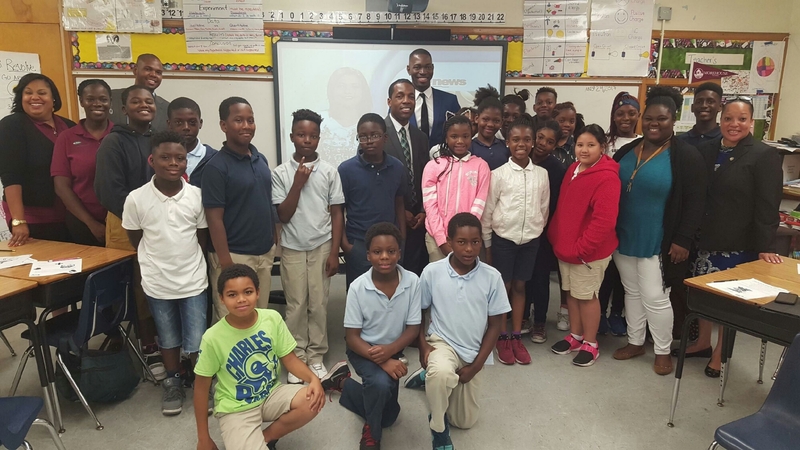 District 2 School News – 2017 Career Day was a tremendous success at Charles R. Drew K-8 Center. Special thanks to State Representative Cynthia A. Stafford (D-109), Miami Gardens Mayor Oliver Gilbert III, Miami Chairman Keon Hardemon (D-5), Oscar winner Tarell Alvin McCraney, Local 10 Reporter Terrell Forney , law enforcement, firefighters, Jessie Trice Center, Circle of Brotherhood, and so many community leaders for taking the time to speak to and inspire our students. Thanks to Principal Tracie Abner, administration, Counselor and TOTY Ms. Frances Vasquez, teachers, staff and parents for organizing this educational experience. Go RAMS! Posted on May 24, 2017 by District 2 MDCPSPosted in School EventsTagged #District2WorkingForYou #CharlesRDrew #EducationIsTheKey #EveryChildMatters #SeeYouOnTheJourney.